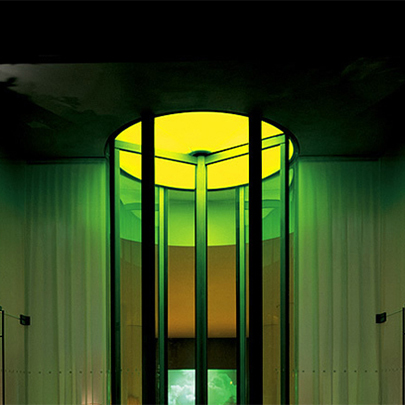 Bauporte was invited to develop this extremely high revolving door for the London based design hotel in collaboration with the architect Philip Starck. 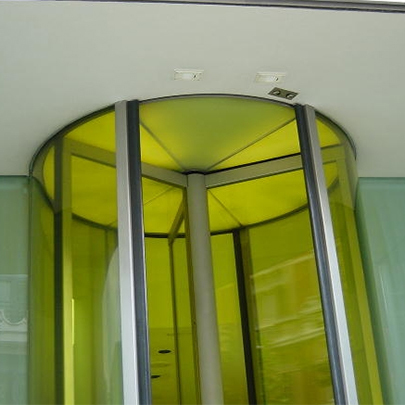 The Bauporte revolving door was meant to accentuate the entrance with its high, transparent and stately yellow-coloured look and feel. This was realised with curved, yellow tinted safety glass in 1 piece over the entire height of 4500mm. The safety glass was made from one piece. The door wings were also fitted with yellow safety glass. 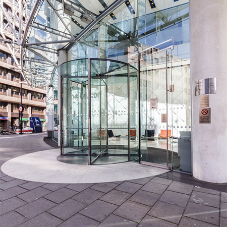 The Bauporte Revolving Door is fully automatic and meets the BS 7036, the German TUV and the European DIN requirements. 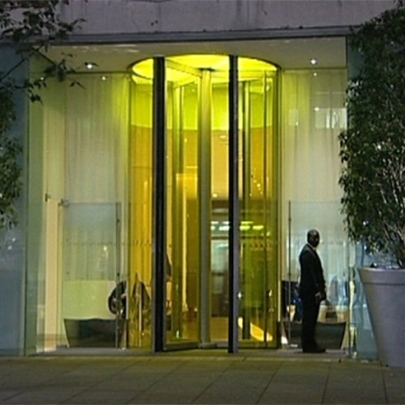 The top of the revolving door is hidden away in the ceiling of the entrance hall and has yellow, hanging glass panels, on top of which lighting was installed. 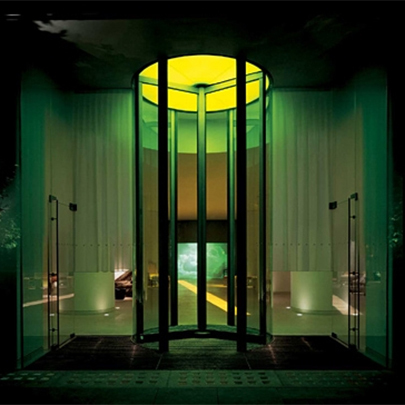 The look and feel is absolutely unique and guests from all over the world go through the Bauporte doors to see the St. Martins Lane hotel.